Leeches (Hirudinea): Their Structure, Physiology, Ecology and Embryology presents a concise account of the vast knowledge, particularly in the realm of physiology of the Hirudinea. The text provides the various aspects of the life of leeches (Hirudenea). The first three chapters are devoted to the survey of the different families of leeches and the description of Hirudo medicinalis (Medicinal leech). 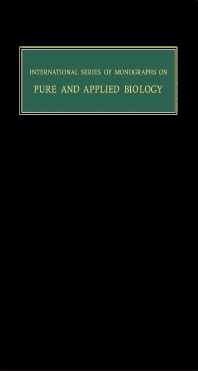 The physiological aspects of leeches such as its circulatory and respiratory systems, muscles, nerves, sense organs, and reproductive processes are elaborated in detail in subsequent chapters. Leech nutrition, behavior, locomotion, and the ways in which the distribution and abundance of leeches is affected by factors of the environment, both living and non-living are elucidated as well. Zoologists will find the book very useful and informative.